I suppose the plot makes more sense if this is a prequel. In it, Sam's new to Swallow Falls, and this will be her first Christmas. Her excitement turns to agitation, however, when she learns no one in town has heard of Santa Claus. Instead, they celebrate the advent of Lobster Claus, a crustacean version of Santa who rises up through the toilets and gives presents in exchange for buckets of seafood. She argues with the townsfolk and tries to convince them they're worshiping a false Claus, but they view her as a heretic. Eventually, Sam gets fed up and writes to Santa, telling him about the impostor. Santa flies to Swallow Falls and calls out Lobster Claus, who rises out of the ocean (technically, he rises out of a giant toilet that rises out of the ocean, but you get the idea). The two legends engage in a fight that threatens the town. Sam realizes her inability to respect others' beliefs is at fault and enlists Flint in trying to remind the holiday mascots that this season is meant to teach love and understanding. That just flat-out fails for a while, until the mayor's son is flown in by winged rats, and his singing calms everyone down. Santa and Lobster Claus learn to coexist, Sam gains insight into the value of tradition, and the residents of Swallow Falls accept her beliefs have a place, as well. Then, on December 26th, the town ritually devours Lobster Claus. Yeah, I didn't see that twist coming, either. Alright, let's get this out of the way up front: this is - depending on your point of view - either an homage or a ripoff of the South Park short, Santa Vs. Jesus. Lobster Claus is standing in for Jesus, and they turn down the violence, language, and sacrilege, but the basic framework is the same. That being said, it's quite a bit better than I expected it to be. I can't speak for the rest of the series, but this episode did a decent job capturing the absurdist tone and humor of the movie, as well as the personalities of the characters. And while it had to keep everything firmly in the G-to-PG range, it still managed to deliver an edgy, fun story. I'm not making up that part about them eating Lobster Claus at the end - that was in the special. The fact it was as derivative as it was makes me hesitant to recommend this unconditionally, but this was definitely better than average. 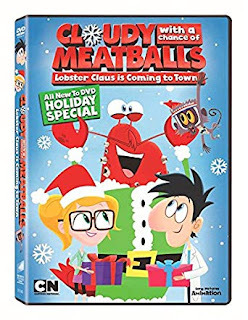 If you're looking for a subversive holiday special, you could do a lot worse than this one.